The Marine Research Program for Grade Six (6) begins with the origins of life itself and the development of cell theory. Students will travel through the Cambrian Period 550 million years ago and discover how new life forms emerged from the primordial ocean. Students will learn how natural selection provides organisms with the ability to survive changes in the environment and how some prehistoric monsters survived while others did not. Below you will find an assortment of featured articles, videos and activities that complement the Marine Research/Design Program for Grade 6. Follow the links to learn more. "Using the Scientific Method to solve the mystery of The Roswell Incident"
In 1947 a strange unidentified craft crashed on farmer Braswell's farm in Roswell New Mexico. The debris crom the crash featured unusual properties with "alien" markings never seen before. 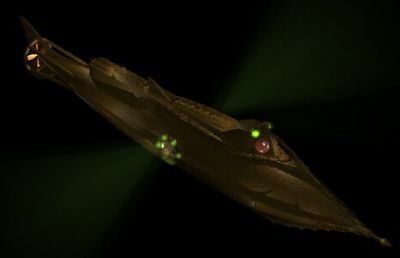 Was this an alien spacecraft from another galaxy or just a somple weather balloon as claimed by the US government? Students will learn the basic steps of the Scientific Method while applying it to the circumstances surrounding one of the greatest mysteries of alien visitation and governmental secrecy- The Roswell Incident. Click on the picture in order to find out more. Things are not always what they seem. The picture on the right will reveal a mystery surrounding the discovery of an unusual skull and partial skeleton that has baffled scientists for years. 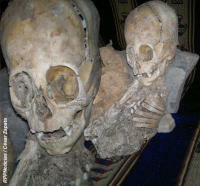 While the physical features of these skulls appear to have some human characteristics, something is clearly not right. Can you identify the origin of these bones using the scientific method? Click on the skeleton in order to proceed. The Natural Kingdom is filled with a variety of plants and animals living in a variety of different environments. Evolution has taught us that in order for any species or group of animals to survive, they must be able to adapt to changes in their environment. Some creatures have been living on this Earth for millions of years such as the Chambered Nautilus for example. Insects are another group of creatures who are masters of adaptation. Pictured below right is an interesting creature that has some very unusual characteristics. 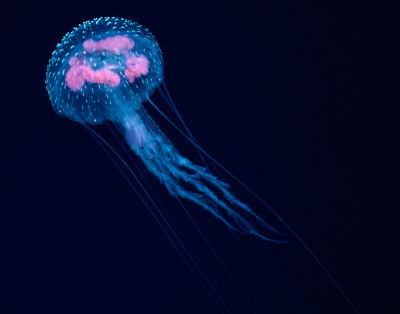 This organism lives in a very harsh environment and is capable of surviving conditions when most others cannot. 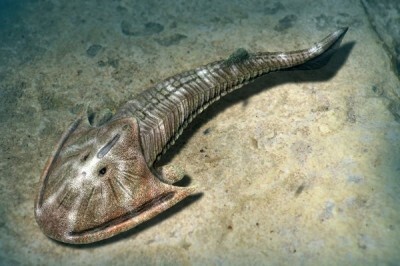 Use the scientific method to identify who this creature is and how it has adapted. The very mention of the word "shark" evokes images of a fiercesome ocean predator with mandibles of death and lifeless black eyes waiting for its next victim. 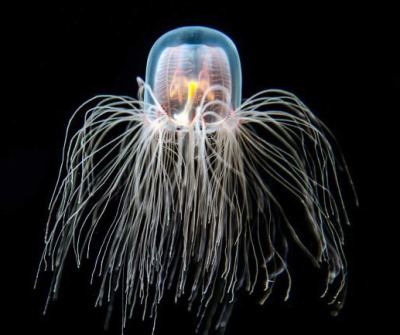 These creatures have ruled the oceans for millions of years and yet they possess some very interesting adaptations. In this brief but information packed video we will learn more about shark skin and man's efforts to learn more about this remarkable shark adaptation. Video II is a brief supplement and is worth watching if time permits. 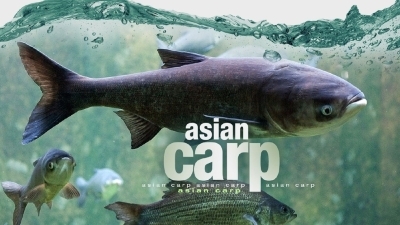 The Asian Carp has entered the freshwater river system from Louisiana all the way up to the Great Lakes. Their arrival represents one of the greatest environmental threats to the freshwater ecosystem and to the 7 billion dollar fishing industry. In this 46 minute YouTube video you will discover how these creatures arrived in the United States and how their presence impacts the Mississippi, and Illinois River ecosystems. Click on the tab in order to access the video and the worksheet. Global Climate Change is a reality and its impact on the overall health and future of mankind is vividly portrayed in this science fiction thriller- The Day After Tomorrow. Three fundamental concepts are illustrated during this two hour movie. They are the Greenhouse Effect, Global Climate Change and the World Ocean Conveyor Belt. This movie provides one of the best explanations as to how the world ocean conveyor belt helps to stabilize global climate conditions and what can happen when ocean currents stop or are redirected. Students may find it difficult to take notes during this visual smorgasborg but there is a lot of science to be experienced nonetheless. This lab activity introduces students to the design process by working in groups to design and construct a freestanding tower using just their own creativity and some simple materials. Every day, scientists and engineers working with many different types of materials must design an object or structure within a limited amount of time. They often encounter unforeseen challenges or obstacles that can slow down progress of stop the project all together. Material costs, limited time and changing demands by the customer can seriously influence the success or failure of the project. First Life with David Attenborough/ ORIGINS (PBS) (YouTube) 58 min. One of the most fascinating periods in prehistoric life is also one of the least understood. Almost 500 million years ago, there was an explosion of life with almost 10,000 new lifeforms suddenly emerging. Every type of animal body plan from arthropods to molluscs suddently appeared during this evolutionary explosion. First Life (BBC) with David Attenborough reveals one of the most detailed studies of the very first life forms to emerge on this planet. This video is rich with amazing imagery and some of the latest discoveries surrounding the emergence of the very first living creatures. However, some of the material may not be suitable for middle school students but go to 42:42 to begin the Cambrian Period. ORIGINS (PBS) narrated by Neil DeGrasse Tyson offers an equally excellent depiction of how life began and how early Earth was formed. Students will be divided into groups and assigned the challenging task of making a Cambrian Critter. Follow the tutorial below for making a Walking Cactus and a Wiwaxia. More critters will be added in the future. A study of marine life would not be complete without first taking a closer look at how life began some 500 million years. 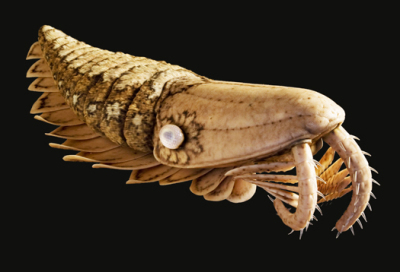 One of the most fascinating periods in the fossil record depicts giant creatures the size of school buses roaming the vast oceans looking for prey. But man has often struggled with his understanding of how prehistoric life evolved and many of his early attempts at identifying early dinosaurs were often met with gross errors and mistaken identity. Without sophisticated tools, limited resources and questionable motives, early fossil hunters were often driven by a lust for fame and glory sometimes resulting in catastrophe. This first installment of the Paleoworld Series describes early fossil hunters and some of the mistakes that were made. Attenborough and the Sea Dragon (PBS-2018) 53 min. A remarkable 200-million-year-old fossil - the bones of an ichthyosaur, a giant sea dragon - has been discovered on the Jurassic coast of Britain. David Attenborough joins the hunt to bring this ancient creature's story to life. Using state-of-the-art imaging technology and CGI, the team reconstruct the skeleton and create the most detailed animation of an ichthyosaur ever made. Along the way, the team stumble into a 200-million-year-old murder mystery - and only painstaking forensic investigation can unravel the story of this extraordinary creature's fate. 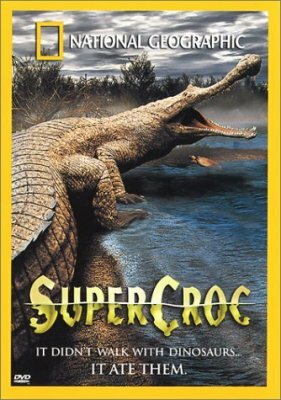 SuperCroc (National Geographic) 53 min. Narrated by Sam Neill, National Geographic's SuperCroc is a crash course in all things crocodile. Although it's sure to appeal to those with an interest in prehistoric life, it's as much about the present as the past, since crocodilians still roam the earth and Sarcosuchus imperator wasn't much different--just a whole lot bigger (40 feet long). Paleontologist Paul Sereno would like to learn everything he can about the crocodile bones he has unearthed in the Sahara, so he and reptile expert Brady Barr travel the world in an attempt to re-create the life of the giant creature (animation also helps tell the story). The result is that Sereno is able to have a life-size model built. SuperCroc is a fascinating program that does not disappoint. Walking with Monster- Life before Dinosaurs! (BBC) 30 min. Approximately 4.6 billion years ago, our planet Earth was formed through a series of violent collisions, explosive releases of thermal energy and a prolonged period of cooling and precipitation. The first atmosphere was toxic and consisted of sulfuric acid, ammonia, water vapor and other greenhouse gases. Life would not emerge onto dry land for several billion years. 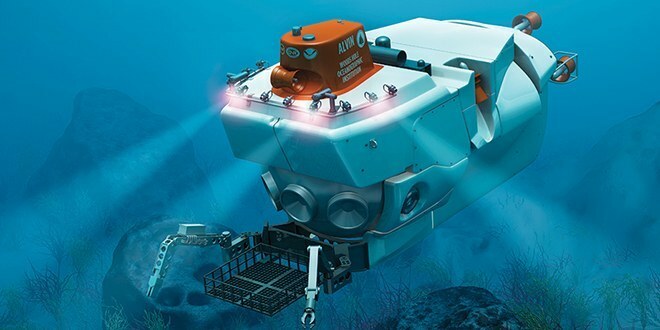 However, some remarkable and rather strange developments were quietly taking place in the primordial ocean that would change life on Earth forever. The seeds for the origins of life had been sown. This video covers the evolution of fish and amphibians while briefly exploring some of the unique life forms during the Cambrian Period. 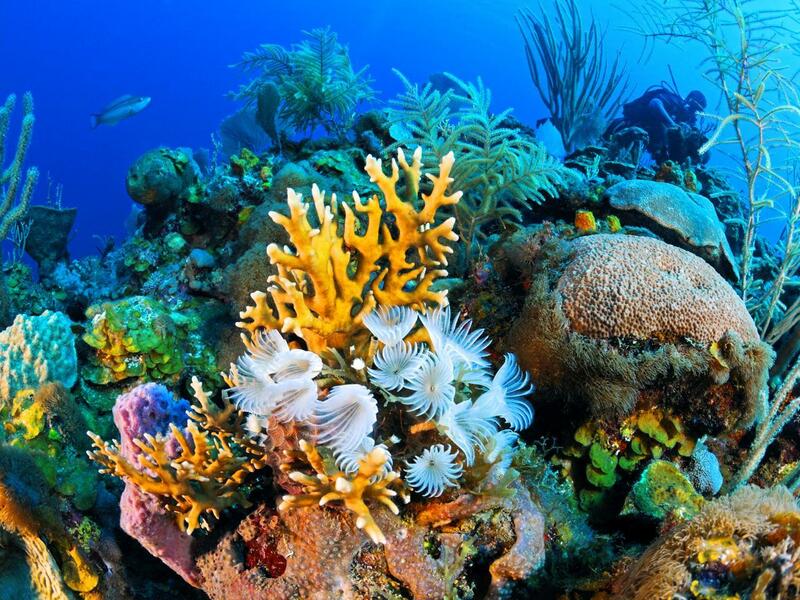 A coral reef is a structure made by millions of tiny creatures called "polyps". These small carnivorous organisms are invertebrates and spend much of their time filtering food particles from the ocean current. 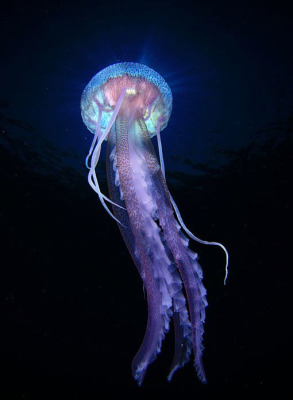 Coral polyps do not have backbones and are related to jellyfish and sea anemones. These are unique ecosystems that form large communities featuring a variety of marine organisms and plant life living together. This project will take 5-7 days to complete depending on how proficient students are with using Power Point. Experience has shown us that many students are visual learners. There is a wealth of informative yet entertaining movies that can provide both interest and factual relevance to your classroom. Whether you are looking for a last minute addition to your class curriculum or would like to interject something different into the classroom routine the link provided below might just help. 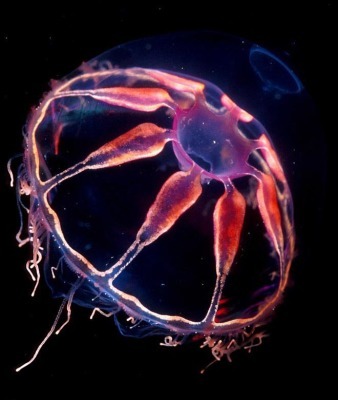 The ocean realm is filled with organisms living together and interacting with their physical environment. Symbiosis is all about relationships and how different creatures live in harmony, or compete with each other. This short video features the three most common symbiotic relationships and use a variety of marine creatures to highlight how these relationships work. There is a lot of information packed inside this ten minute video so students should pay close attention and take careful notes. "Symbiosis in the Sea with Jonathan Bird".